1) Check the number of hours on the Hobbs meter. 2) Check the Coolant level, if so equipped. 3) Check the Oil level!!! If the oil is dirty, smells strongly like its been burnt or has a strong gasoline or diesel smell, that is a RED FLAG. Dirty oil is one thing, it means that the owner probably hasn’t changed it recently or regularly. You’ll have to do an oil and filter change to get a clearer picture of the interior condition of the engine. If it smells like fuel or gas, there may be a serious issue. It’s worth having a professional inspect it. 4) The Starter Switch has a light in it (our unit is also equipped with a remote switch inside the RV). This light (depending on manufacturer and model) is how you troubleshoot problems with the generator. You’ll need to refer to the unit’s operating manual to get the Blink Code definitions, but it can save you a great deal of frustration when trying to figure out why it won’t start or run. 5) Power Switch. This turns on the electrical side of the generator so that it can provide electricity to run those appliances and accessories requiring 110v AC. Crawl under the rig to check the underside. There you should be able to see such things as the air filter, drains and heat sink(s). Check the air filter and its cover by removing both. Make sure the filter is clean, not loaded with dirt and debris. If it is not clean, add this to your list of items to be addressed. The heat sink is a miniature radiator that is used to cool electrical components that produce a lot of heat. Make sure these, too, are free of any dirt and debris. A hot running generator is a poor performing one and could cause serious and expensive repair bills later on. Make sure the drain plugs are intact and show no signs of being stripped or cross threaded. If the hex end of the plug is rounded because someone used pliers or other means to remove it, they had issues with it. Again add this to the list of concerns…a replacement plug is necessary. 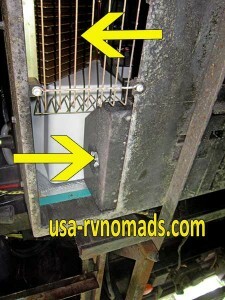 You may or may not have to remove a panel on the generator to access the oil and fuel filters. It’s a good idea to visually inspect them to see if they are the correct type (refer to the operator’s manual or check online by searching for the make and model number). Check to make sure nothing has been leaking from the filters. Unless there are records showing that the generator has been recently serviced, its a good idea to have it done. Changing the oil and filters is prudent to ensure its readiness when it’s needed most. 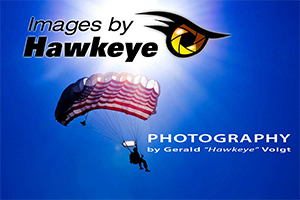 If you don’t know what you’re doing, let the owner, salesman or technician run the unit. Let them be responsible for any mistakes in improper procedures. Note how quickly the unit starts, its sounds and any smoke or abnormal vibrations or rattling. Make sure that the generator is allowed to run for some time, not just a quick on and off to prove to you that it runs, but for 30 plus minutes, this will allow you to see how it performs under a load. Running the air conditioners is a good load test and you’ll want to make sure they work on both shore power and on the generator. 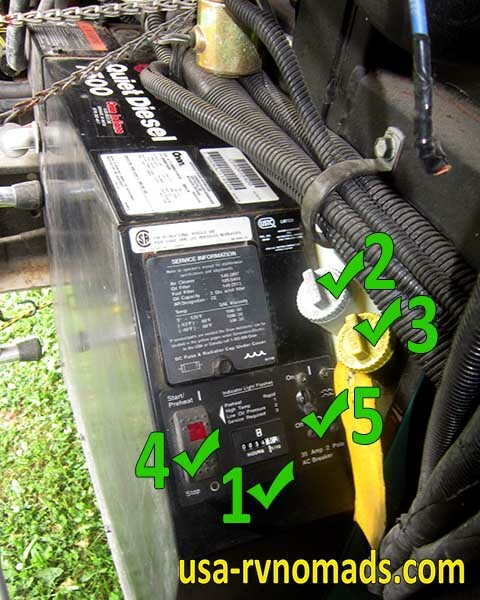 Check the charging circuits and indicator lights inside the RV to make sure the generator is charging the batteries. 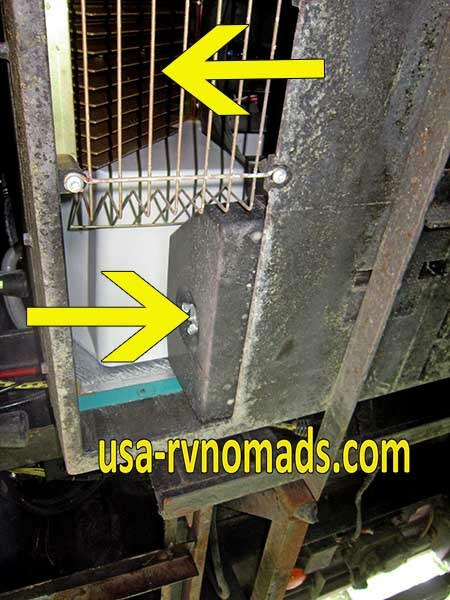 It does you no good to have a generator that won’t, so make sure it’s doing every task it’s supposed to do…here is where having the owner’s manuals for the generator and the RV itself comes in handy. Not all generators are the same. There will be nuances specific to each…sound, capacity, features, fuel consumption, maintenance intervals and ease of use. Our Onan is super quiet and meets the needs of our rig. The one thing I wish Onan and Holiday Rambler would have done was include some basic instrumentation inside to allow monitoring of the generator when in use for things such as RPM, coolant and oil temps, and fuel flow. But those are added costs, which apparently wasn’t felt to be something the majority of owners wanted. Once you are familiar with the operation of the generator, be sure to start it yourself. And after you have your new rig home, be sure to run it often…monthly even if you are not using it to supply power to your rig. TIP: When changing out any filters on your RV, use an appropriately colored paint or Sharpie marker to annotate the date, mileage or meter hours when the filter was installed. Make sure the surface on the filter is clean, dry and oil free so that the marking will stick and stay visible for future reference. 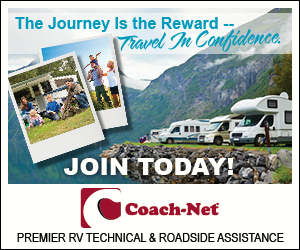 Be sure to also make an annotation in your RV’s diary/journal.